Linking environmental sustainability with poverty reduction and social justice, and making science and technology work for the poor, have become central practical, political and moral challenges of our times. These must be met in a world of rapid, interconnected change in environments, societies and economies, and globalised, fragmented governance arrangements. Yet despite growing international attention and investment, policy attempts often fail. Why is this, and what can be done about it? How might we understand and address emergent threats from epidemic disease, or the challenges of water scarcity in dryland India? In the context of climate change, how might seed systems help African farmers meet their needs, and how might appropriate energy strategies be developed? 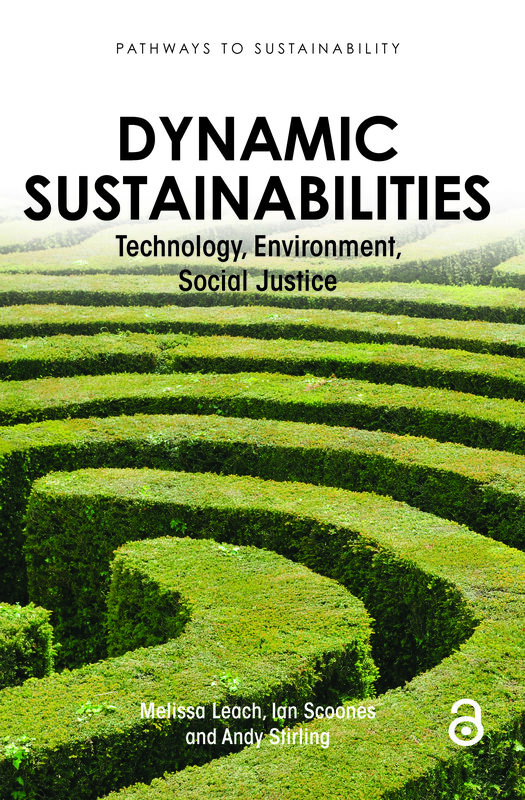 This book lays out a new 'pathways approach' to address sustainability challenges such as these in today's dynamic world. Through an appreciation of dynamics, complexity, uncertainty, differing narratives and the values-based aims of sustainability, the pathways approach allows us to see how some approaches are dominant, even though they do not produce the desired results, and how to create successful alternative 'pathways' of responding to the challenges we face. As well as offering new ways of thinking about sustainability, the book also suggests a series of practical ways forward - in tools and methods, forms of political engagement, and styles of knowledge-making and communication. Throughout the book, the practicalities of the pathways approach are illustrated using four case studies: water in dryland India, agricultural seeds in Africa, responses to epidemic disease and energy systems/climate change. Published in association with the Economic and Social Research Council (ESRC). Melissa Leach is the main Director and Ian Scoones and Andy Stirling are co-Directors of the STEPS Centre, Sussex. Melissa Leach and Ian Scoones are Professorial Fellows at the Institute of Development Studies (IDS), Sussex. Andy Stirling is the Science Director at SPRU (Science and Technology Policy Research), University of Sussex.